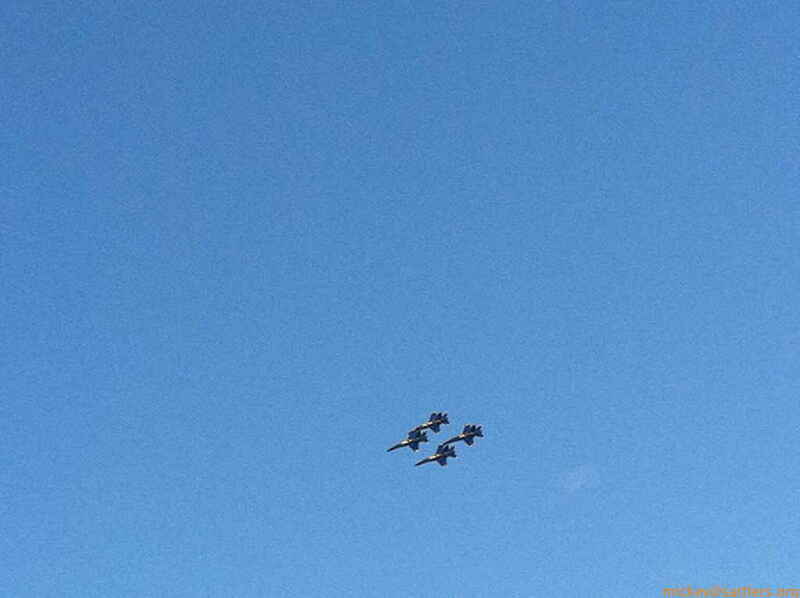 Four of the Blue Angels fly over our fair city, with perfect weather and clear skies. I *love* the roar of the engines and the wash of the sound waves; others seem to be a bit perturbed. My sister, Felicia, comes into town with her side of the family tree. 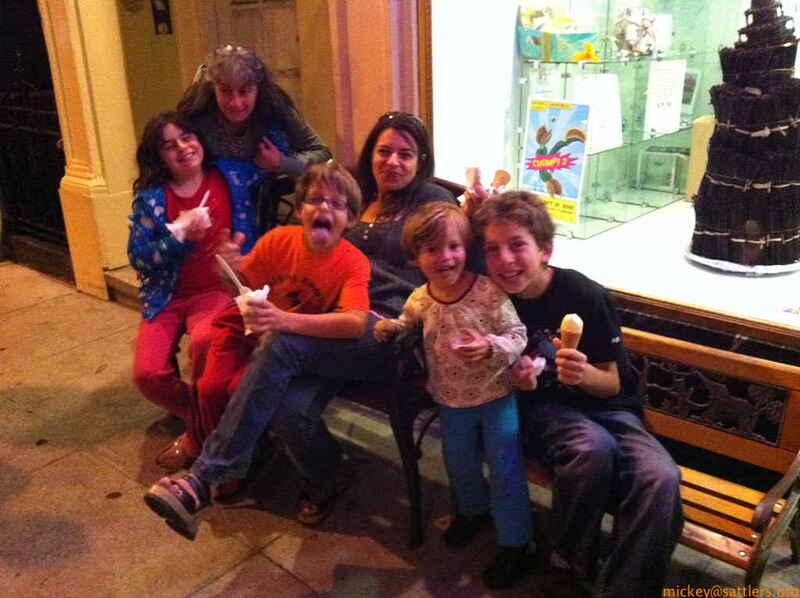 We meet in the Mission, outside Dosa. From left, Lila, Rose, Seigmund, Felicia, Annalie, and Isaac. 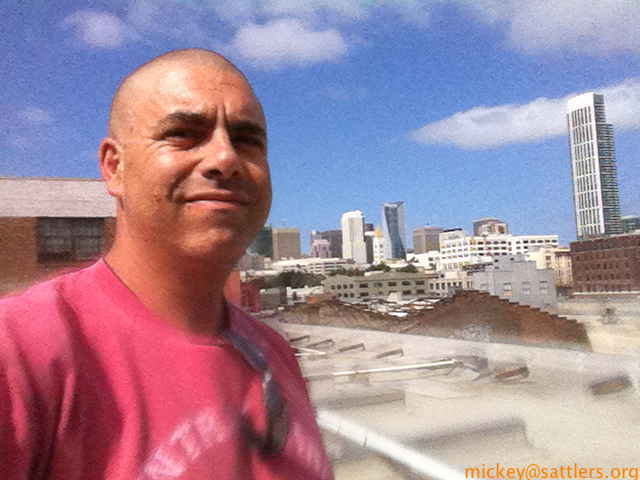 Me, clean-shaven and squinting in the bright afternoon sun, looking around to spot the Blue Angels. 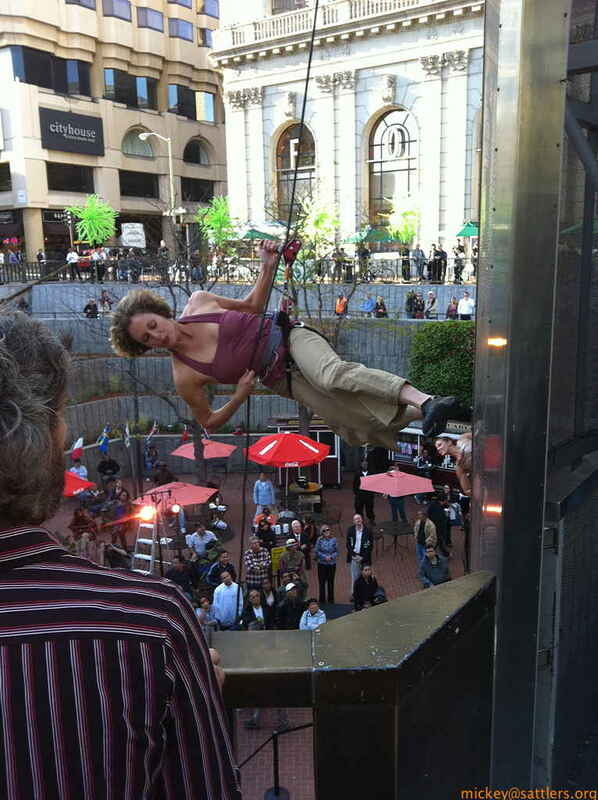 At a late lunch I spot a vertical dancer at Hallidie Plaza, near the Powell cable-car turn-around. 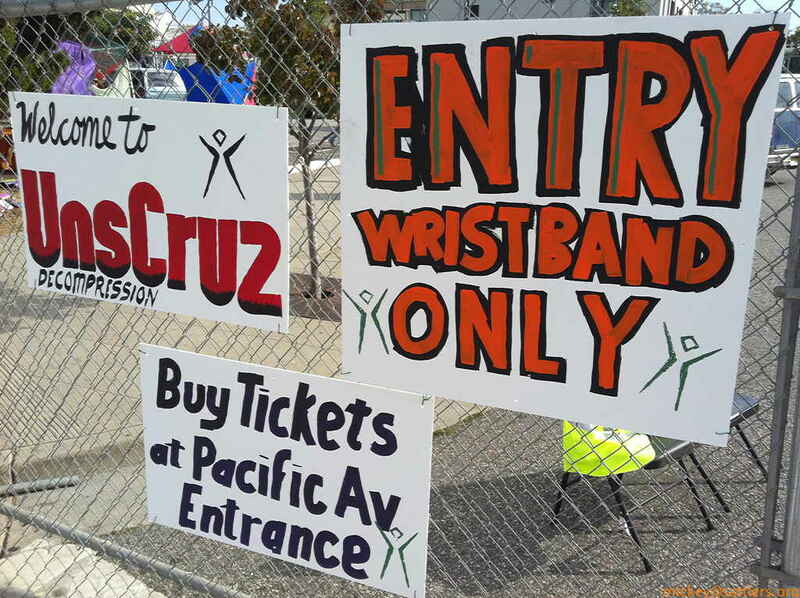 It's time for the 2010 Castro Street Fair. Here's Rose with Lila and Isaac at the corner of Castro & Market Streets, checking out the sound stage, the vendors setting up their wonderfully-smelling food stands, and, assembling inside the orange cones, cheerleaders. 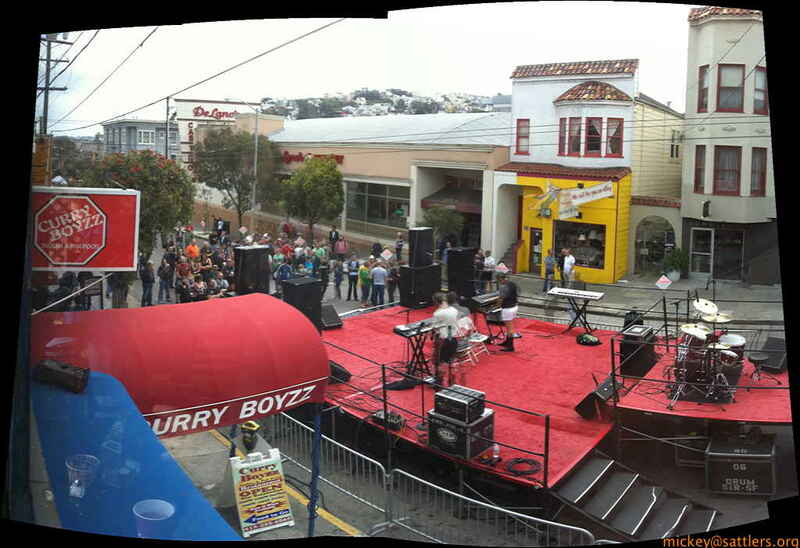 The view of a sound stage from the vantage point of CurryBoyzz Indian restaurant, near 18th and Diamond Streets. Today is the Burning Man 2010 - Santa Cruz UnScruz Decompression party, for which I've been tapped to lead the Black Rock Ranger presence. 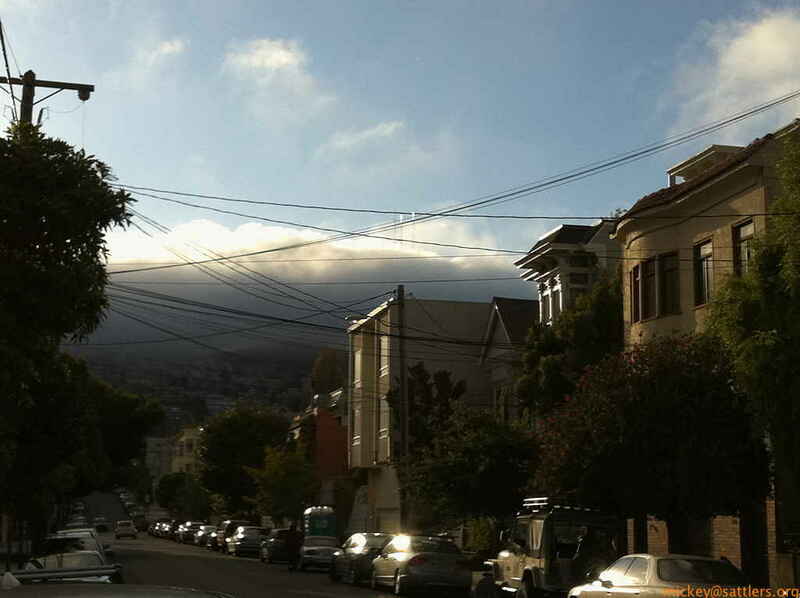 I'm standing in the hot sun, but the fog pouring over Twin Peaks is pushing a cold breeze ahead of it. Shiver. 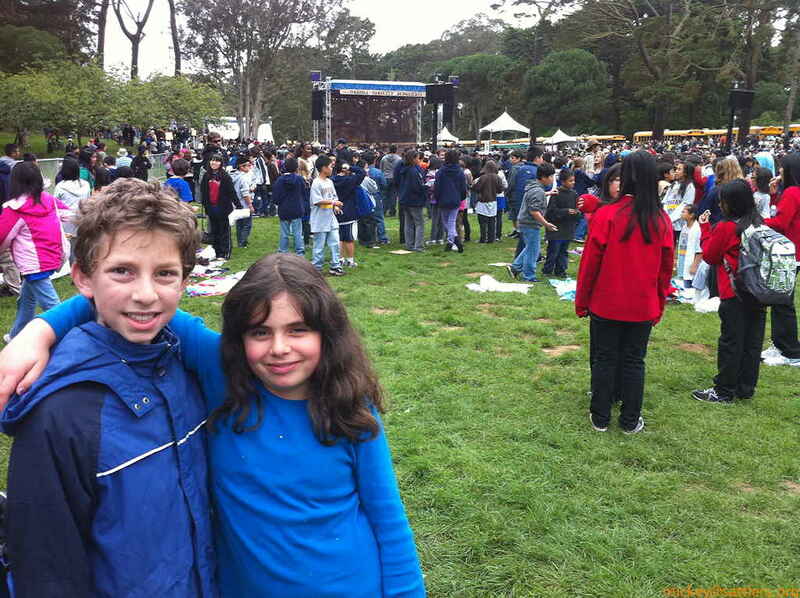 Both of the kids' schools are heading over to the Strictly Bluegrass festival in Golden Gate Park, where M. C. Hammer is playing yet another of his kid-centric shows. I heard Lila's class needed a "small tarp", so I drive the Bacon Sparkle Pony deep into the park, past concentric circles of security, waved on as soon as burners spot the logos, until I can hump the huge 20x50 tarp - still showing a bit of playa dust - onto the field. It was perfect: our class could sit and play and eat in comfort while the other classes stood rather than sit in the just-rained-upon grass. Isaac and Lila pose during a quiet moment in the concert. This page is just the tip of the iceberg. We have lots of things for you. If you want to continue reading about what happened, click the navigation arrows. The site archives shows you all of the monthly pages. The search engine covers the entire site. There's also a Site Map which has an entry for each of the pages across the site. And you may always email me through the links below, or contact me in a good number of other ways.